A bhfad ó shin (a long time ago), new to town and our neighborhood, we received an invitation to a St. Patrick’s Day Brunch. Something about the invite: “Stop by for green pancakes!” intrigued us. And so, we went. “Welcome!" Our host greeted us. 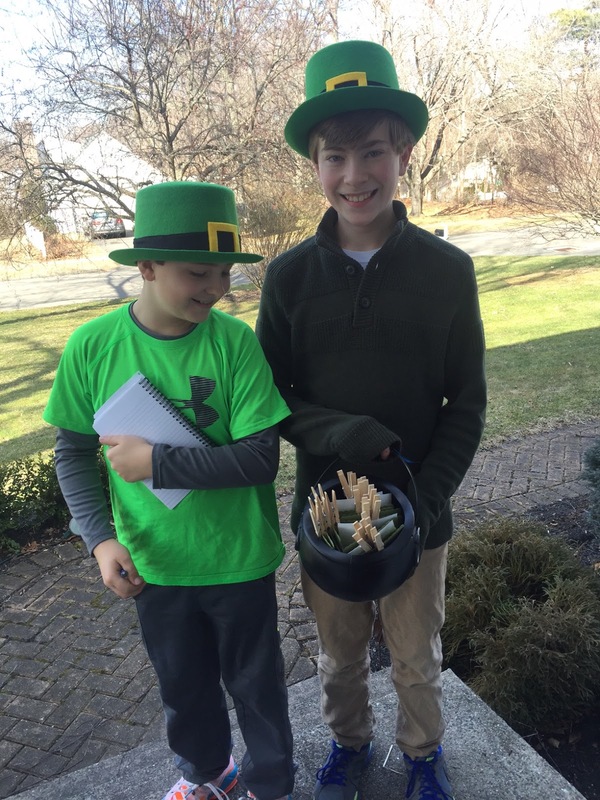 "You’re just in time to find the gold coins!” Off the boys went with a swarm of other kids in search of a pot of gold. That morning we met many new neighbors and future friends, all in the name of celebrating something that is important to someone who is important to me. I am a cultural mutt. A smidgen of this and a smattering of that. Being married to an Irishman, it took me a while to get that while most of us wear green and indulge in corn beef and Guiness to celebrate the one day each year that everyone is Irish—to people of actual Irish descent, (yes I am about to generalize an entire population) St. Patrick’s Day is much more. The day—the season— is a public celebration of a deep down pride most often held in. A commemoration of loved ones long gone and the luck they’ve left behind. The annual neighborhood brunch quickly became a meaningful placeholder in our year. So much so that when we eventually moved (again) we decided to keep the tradition going. Now each year on the Sunday before St. Patrick’s Day we deck our home in glittery green and invite neighbors to “Stop by for green bagels!” (our twist). Our way to give thanks for—being Irish—and a potluck of friends we've found along the way. A potluck of friends...I love that image. Slàinte!